After years abroad, Royal has returned to Bransford Castle to find his father dying and the family treasury nearly empty. 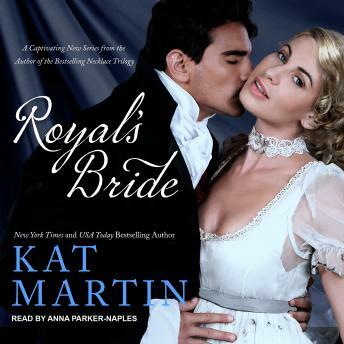 Then the old duke wrests a final promise from his guilt-ridden son: that Royal will marry heiress Jocelyn Caulfield and restore the estate to its former glory. However, it is not his fiancee who quickens Royal's pulse, but rather her beautiful cousin Lily Moran. Penniless Lily knows that nothing can come of their undeniable attraction-but there is a way she can help Royal. Enlisting some questionable characters from her past, Lily concocts an elaborate ruse to recover some of the Bransford fortune from a notorious confidence artist. As the dangerous scheme unfolds, Lily and Royal are thrown together in pursuit of money, the very thing that keeps them apart.